"An unyielding consistency of approach, a dynamic investment team and an emphasis on building long term partnerships - the cornerstones of Sphere's approach to pursuing long term success." Mohammed joined Sphere in April 2014 as a Director. Prior to joining Sphere, Mohammed was a senior transactor in the Strategic Investments unit of Standard Bank. Strategic Investments is an on balance sheet provider of medium to long term equity risk capital, which seeks to develop long term associations with investee companies. The unit takes an active approach to the management and development of investments, driving and supporting the organic growth and acquisition ambitions of investee companies. During his tenure at the bank, Mohammed represented the Bank on the boards of a number of companies and was personally responsible for a multitude of watershed transactions. Between 2007 and 2010, Mohammed formed part of the Leverage Finance team of Standard bank. In addition to his role as a transactor, Mohammed assisted the bank with the restructuring of its significant ailing exposures during the financial crisis. 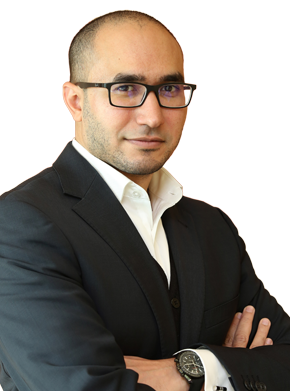 Given his experience in Investment banking, Mohammed brings with him a diverse set of finance skills covering the full spectrum of the investment cycle from Leverage Finance, Equity Raising and Management, through Debt Restructuring. Mohammed holds a BCom and BCom (Hons) (Accounting) from Rand Afrikaans University and is a qualified CA(SA). He completed his articles with the Financial Institutions Services Team at Deloitte.